Internationally acclaimed for quality and craftsmanship, Pulltaps corkscrews are the ideal waiter's friend. 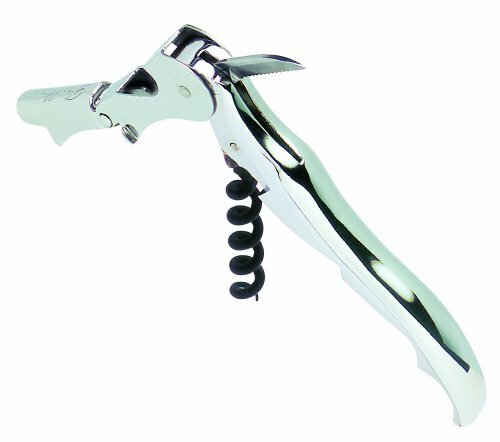 Pulltaps Waiters Corkscrew CHROME Boxed (P/N 107-701-01-Chrome, 5151). Features a unique hinged double-lever system, serrated knife blade, contoured steel handle, and Teflon spiral. Authentic Pulltaps corkscrews are made by Pulltex. If you have any questions about this product by Pulltex, contact us by completing and submitting the form below. If you are looking for a specif part number, please include it with your message.